I've just found out that I've got 2 etchings through to round 2 for entry to the Royal Academy Summer Exhibition. A max of 12,000 could enter round 1 which is shortlisted to 4,000. Need to plan an April trip to London to deliver the work. 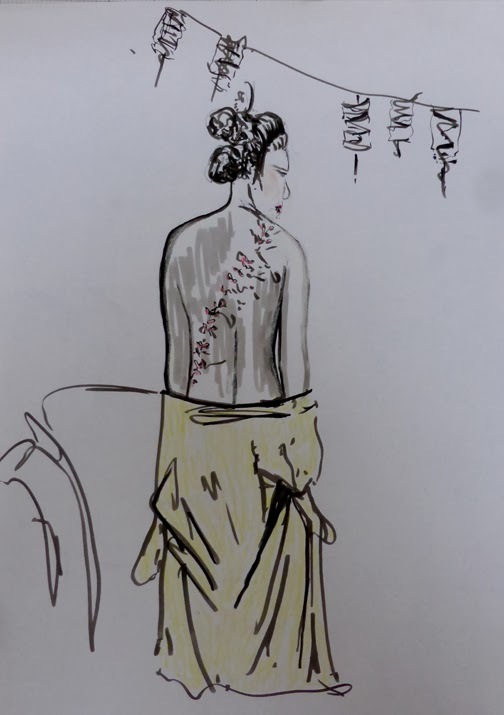 A few of the 9 drawings created in a Japanese-themed, costumed and life drawing session. Pen and ink is good to use when the pose is only 2 minutes long. 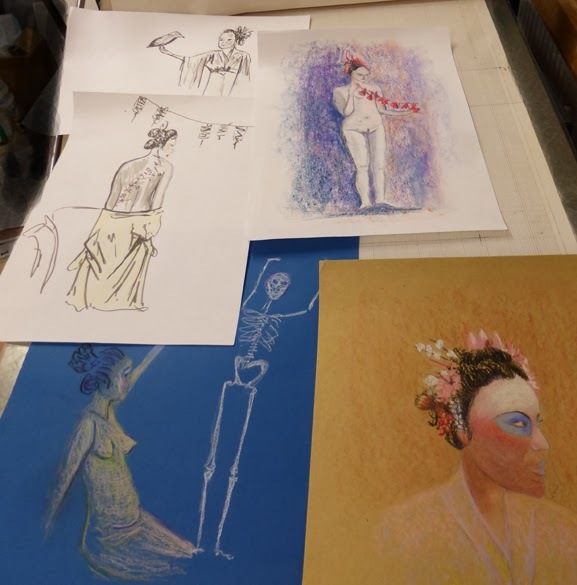 When there's longer, pastel is possible too, especially on a coloured, textured paper. I tried out some Khadi paper for the first time with pastels. I didn't have long for any of the poses - I added more pastel to the portrait head afterwards. Very enjoyable with the dramatic lighting, differently applied make up on the model and different poses - must do more!